Giovanni Bellini, Annunciation, early 1500. Oil on canvas; 88 × 42 in., each. Gallerie dell’Accademia, Venice. Image Photographic Archive, Polo museale del Veneto, granted by the Ministry of Cultural Heritage and Activities and Tourism; reproduction prohibited. Cameraphoto Arte, Venice / Art Resource, NY. Attributed to Sebastino del Piombo, Madonna and Child with Saints Catherine and John the Baptist, about 1505-1508. Oil on panel; 20-1/8 × 31-7/8 in. Gallerie dell’Accademia, Venice. Image Photographic Archive, Polo museale del Veneto, granted by the Ministry of Cultural Heritage and Activities and Tourism; reproduction prohibited. Titian, Madonna and Child with Saints Catherine of Alexandria and Dominic, and a Donor, about 1513. Oil on canvas; 53-7/8 × 72-1/2 in. Fondazione Magnani Rocca, Mamiano di Traversetolo, Parma, Italy. Courtesy of Fondazione Magnani Rocca, Mamiano di Traversetolo (Parma). Vittore Carpaccio, Annunciation, 1504. Oil on canvas; 50 × 54-3/4 in. Galleria Giorgio Franchetti alla Ca' d'Oro, Venice. Image Photographic Archive, Polo museale del Veneto, granted by the Ministry of Cultural Heritage and Activities and Tourism; reproduction prohibited. Experience the extraordinary creativity of Venice from the mid-1400s to early 1500s, when artists forged a Renaissance style that was distinctly Venetian. Through this artistic evolution, the city became an internationally recognized model of pictorial excellence. Artworks in the exhibition emphasize how masters during this period—whose sensitivity toward color and light remained unparalleled for centuries—veered from traditional techniques and began using oil paint to experiment with depth, emotion, and dimension in their work. A fully illustrated exhibition catalog (now sold out), published by the DAM, accompanies the exhibition. Glory of Venice is co-curated by Angelica Daneo, curator of painting and sculpture at the DAM, and Dr. Giovanna Damiani, former Superintendent of the Museums of the City of Venice and current Director of the State Museums of Sardinia. After the exhibition closes at the DAM, it will travel to the North Carolina Museum of Art. Admission to Glory of Venice is included in general admission; free for members; and free for kids age 18 and younger. Specially priced tickets for groups of 10 or more are available with advance reservations. Private gallery rentals and special event bookings are also available. Exhibition tours for groups can be scheduled (tours are offered Tuesday-Friday with 3-week advance reservations required). Exhibition Text in Large Print—Download Now (PDF). 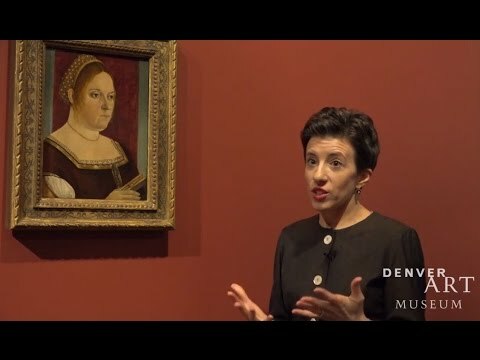 Glory of Venice: Masterworks of the Renaissance is organized by the Denver Art Museum in collaboration with the North Carolina Museum of Art, Raleigh. It is presented with generous support from Samuel H. Kress Foundation, Robert Lehman Foundation, The Gladys Krieble Delmas Foundation, John Brooks Incorporated, the donors to the Annual Fund Leadership Campaign and the citizens who support the Scientific and Cultural Facilities District (SCFD). This exhibition is supported by an indemnity from the Federal Council on the Arts and Humanities. Promotional support is provided by 5280 Magazine, CBS4, Comcast Spotlight, and The Denver Post.